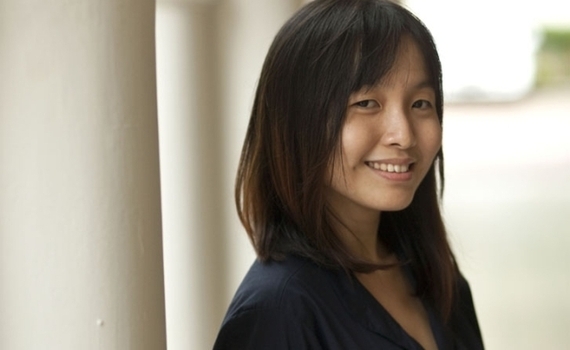 When it comes to global social change, millennials are key to the puzzle. Each year, The Global Good Fund invests in a select group of promising young social entrepreneurs to enter into our fellowship program. We invest both human and financial capital in each Fellow's leadership development. Our hypothesis here at The Global Good Fund is that leadership development is a vehicle for enterprise growth, and, ultimately, social impact. I'm continually blown away by the incredible young talent that we have the privilege to engage with each year. It's inspiring to witness the myriad of ways in which these young leaders leverage entrepreneurship to improve our world. 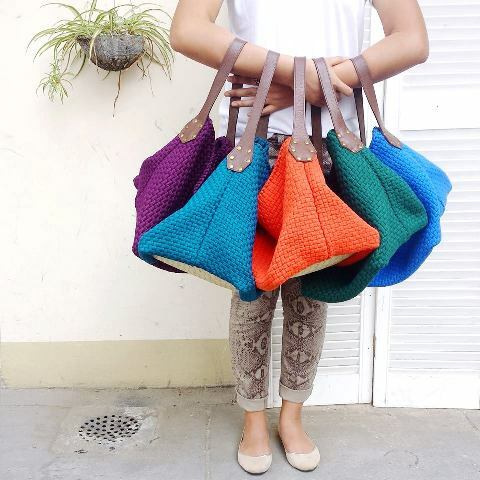 I want to take a moment to highlight one fellow in particular, Reese Fernandez-Ruiz of Rags2Riches - a social enterprise creating eco-ethical fashion and home accessories using recycled scrap fabrics by artisan communities in the Philippines. Reese shares her startup story with me in the interview below. In our conversation, Reese discusses her initial challenges starting and scaling a social business. I hope you find her wisdom as a young social entrepreneur as valuable and worthwhile as I do! How did you come to create Rags2Riches? Did you model after an existing organization, or was it more a case of making-it-up-as-you-went-along? What are the benefits that have accrued to the Rags2Riches stakeholders in the short and long term? It is a little bit of both (having an organization to model after and making it up as we went along) because we have evolved into a better, more holistic and focused company. Rags2Riches is not something that I came up with on my own, nor is it my creation. I'm very proud that it came about because a group of people (including me) came together and wanted to solve a real social problem. 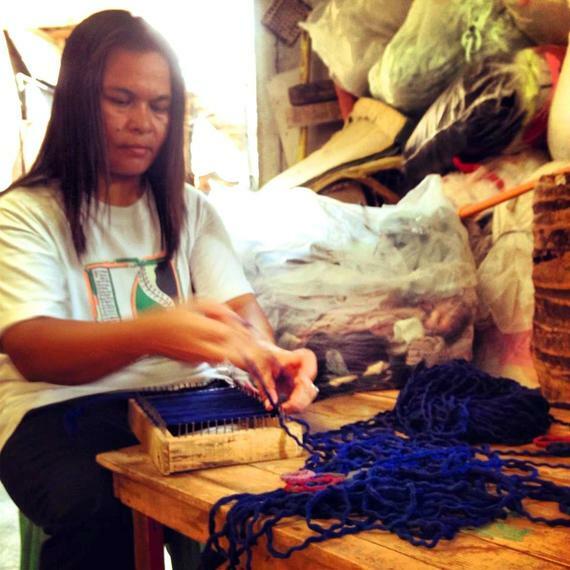 Rags2Riches Inc. is a for-profit social enterprise based in Manila, Philippines, creating eco-ethical fashion and home accessories out of recycled scrap cloth, organic materials, and indigenous fabrics by working with artisans (mostly women) living in poor communities across the country. Rags2Riches' philosophy stands upon its four bottom lines: People, Profit, Planet and Positive Influence. We started in Payatas, one of the Philippines' largest dump sites and home to half a million people. An informal cottage industry of rug-weavers grew from the many women who developed a means to earn a living by scavenging the waste to find and recycle scrap pieces of fabric so that they could participate in handicraft production (like rug and rag weaving), while taking care of their children at home. Over time, the industry became exploited by a series of middlemen who controlled both the supply of scrap fabric and the women's access to the market, which created an unfair value chain for the women who, at the end of the day, earned only pennies per finished product (less than .20 cents USD per day). Rags2Riches Inc. was created to provide these artisans with fair access to the market and the formal economy, as well as with additional skills-based, financial, and health training so they can maximize their career potential and take steps towards long-term financial and personal well-being. Rags2Riches integrated a design solution by partnering with well-known influential fashion designers turning scrap materials into fashion handbags. After six years, Rags2Riches has trained 900 artisans across 21 communities in the Metro Manila area and continues to expand its social impact and eco-ethical footprint in the country. When we started, the term "social enterprise" was not yet that known or popular. But fashion was absolutely booming. It took a while for us to bridge "social enterprise" and fashion and carve out a strong niche market. 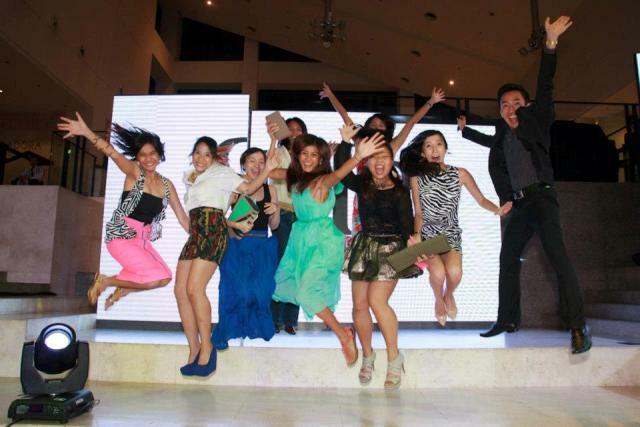 We are considered one of the pioneers of artisan-centric, eco-fashion in our country and in Asia. What were some of the biggest challenges for you personally and for the organization when you were creating Rags2Riches? I'm not sure there is a "biggest" challenge. All of the challenges, as they were happening, were truly challenging. There were the usual challenges such as managing inventory, cash flow, raising capital, opening new markets, and building capacity. One particular challenge that I remember well is the challenge of gaining the trust of our community artisans. Our artisans are at the heart of what we do and they are the ones who weave our products with great care and dedication. Gaining their trust is an immeasurable asset that we had to work really hard to get. From the onset, we were transparent, approachable, respectful, and firm with our artisans. We initiated open dialogue with them and we made sure they understood that we were in this together. After a while, we were able to truly gain their trust and that was a very memorable challenge we overcame. This challenge to the organization was my personal challenge as well because I was leading the conversations and trying to foster trust on behalf of the company. This process helped me grow into a better person, not just a better leader. What are some of the biggest challenges you and your enterprise faces today? Our challenges have definitely evolved from the more immediate, short-term ones, to the more long-term challenges. Personally, my challenge is more about leading others and mentoring them into becoming the future leaders of Rags2Riches. I started Rags2Riches shortly after completing university and most of my team members then and now are young. While my experiences are relevant and helpful for them, there are also some limitations. I don't have the decades of experience in a particular field or industry to provide deeper and more thorough mentorship to the team. Because of my own limitations, I rely heavily on one of my strengths, which is to connect people. I have been trying to connect our team members to leaders around the Philippines who are experts in their own fields. As for the organization, the new challenge is expansion - this challenge is now much easier to address because we have a working model to leverage. With the challenge of expansion comes the challenge of raising capital, opening new markets, and training more communities. Why did you decide to apply to be a Global Good Fund Fellow? What were the specific benefits you expected to get from the Fellowship? Are there benefits you had not thought much about when you applied that have emerged during your Fellowship? I learned about The Global Good Fund Fellowship a little more than a year ago when I received an email from Carrie Rich who co-founded the enterprise. I thought that the fellowship offered something unique and very helpful for young leaders. As a Fellow, we are matched with coaches and mentors who guide and support us to achieve our leadership development goals. I am still in the early stages of my coaching and mentoring, but it has already been helpful. The process began with an exercise that helped me become more self-aware and conscious about the impact of my strengths and weaknesses in my organization. This process was in itself, valuable in terms of holding me accountable for my own leadership development and that of my team. One of the major challenges to organizations such as Rags2Riches is sustainability, especially if the founder moves on to other projects. Even when you are busy running the organization today, do you have a "succession" plan so that the organization continues to be strong when you move on to your next opportunity? While it is a goal, it is often not very easy - not because the founder cannot let go (although this is a major reason for a lot of enterprises, I'm sure), but because the company is still at a stage of vulnerability and uncertainty. Passing it on to another person may not do anyone any good, especially if the founder is the one who has established the partnerships and relationships with key stakeholders that keep the company together. In my case, we started out as a group of 9 co-founders. I'm the one who stayed and focused on the operations part while all the other co-founders supported the social enterprise in so many other critical ways. I am also not the type of social entrepreneur who likes to start things and pass it on in the middle (it's not my style). I like to see things through and I would definitely like to see Rags2Riches through until it really is sustainable - not just until I find another opportunity to take on. We have metrics and milestones to indicate if the company is already at the level of sustainability. The good thing is, I'm not doing it alone at all. We have a very strong team of over 20 people who implement our collective vision day in and day out. I have no problems imagining one of them taking on the leadership in the future. For me, it is not about picking a particular person as a successor - it is about building a really strong organization with a strong team composed of individuals who will become the future leaders of the organization. If you could give prospective entrepreneurs two pieces of advice, what would those be? If you could tell a potential sponsor one benefit his/her investment in a Global Good Fund Fellow, what would you say? Investing in a high potential young leader translates into investing in the hundreds and even thousands of other people who will be enriched and empowered because of their work and vision. I truly appreciate Reese taking time out of her busy schedule to share her entrepreneurship lessons with us. I hope you will check out her organization, Rags2Riches, and support their wonderful cause in the Philippines and beyond! If you are interested in becoming a Global Good Fund fellow, coach, or investor, please connect with me at, Carrie.Rich@globalgoodfund.org.